As anyone who knows my parenting style will attest, I am all about fostering independence and self sufficiency in my kids and breakfast time has been one of the most successful learning opportunities for this. In summer, we are all set – Stephen (7) and Irini (6) are perfectly capable of pouring themselves a bowl of cereal and topping it with milk and some fruit. Winter was a different scenario, however, when a nice and comforting breakfast is just what is needed before a long day at school, but seemed like it would be beyond them. Thankfully, Uncle Toby’s came to the rescue when they sent me some boxes of their Quick Sachets to try and these have truly been a win:win solution for our family; not only do the kids love them, but they are a healthy option that ticks all my boxes, especially where the kids independent mornings are concerned. 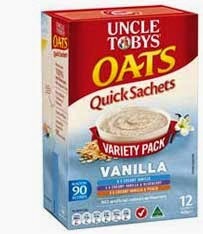 Uncle Toby’s Quick sachets are so convenient and tasty; already portioned out, and with a handy milk guide built into the packet, it is so simple for my son to pop the oats into a bowl, measure in the milk, and then microwave them. 90 seconds later, a delicious bowl of warm and comforting oats are ready to go. Made from whole grains, and with no artificial flavours or colours, these are a wholesome choice that set the kids up for the whole day. So what should you do if you want to move your kids towards independent mornings? 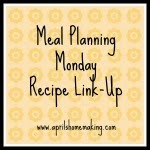 Create a system – I have a routine chart listing the steps that the kids need to follow to get our day on its way. Think about what your kids could do by themselves and what they would need help with. My kids are capable of dressing themselves, making breakfast and packing their bags. I make lunches and make sure they are ready to go to be packed. Make it child friendly – it’s no point expecting your son to make breakfast for himself if he can’t reach the breakfast cereal! Set things up to succeed – all of our breakfast supplies are in one spot in the pantry at child height, and they have a dedicated spot in their closets for their uniforms. Take a chill pill and don’t cry over (literally!) spilt milk – there will be accidents, especially in the beginning, and this is all part of the learning process. But be sensible and foresee (and hopefully prevent some) problems – a seven year old pouring a full 3 litre carton of milk is only ever going to end in disaster. I pour some into a smaller jug when we have a full carton. Let them wear the consequences – we all learn from our mistakes and children are no exception. Unless you want to be the year 12 parent still running forgotten sports kits to school, stop now. If my kids forget something, they (generally) will need to do without it AND explain to their teacher why they don’t have it. I once made my son walk into school without shoes since he forgot them (really, how do you forget your shoes!!) and guess what, he’s never done that again! Disclaimer: this is not a sponsored post and no compensation was given to me. Uncle Toby Quick Sachets were provided to me for review purposes through Product Talk by Nuffnang. All opinions expressed are my own.